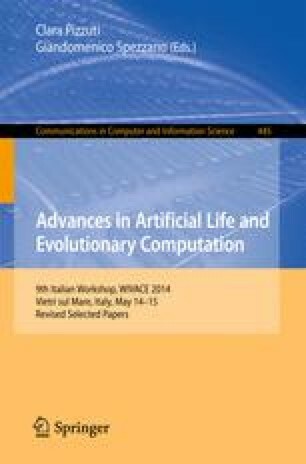 We propose a method to investigate the adaptive and evolutionary function of emotions and affective states, in our case of ancestral fear - using Artificial Life and Evolutionary Robotics techniques. For this purpose, we developed a hybrid software-hardware capable to train artificial neuroagents equipped with a sensory-motor apparatus inspired on the iCub humanoid robot features. We trained populations of these agents throughout a genetic algorithm to perform a well-known neuropsychological task adapted to study emotional phenomena. The robots learnt to discriminate stressful emotional conditions (coping with “dangerous” stimuli) and no-stress conditions. Varying the network structures, the experimental conditions and comparing the outcomes we were able to delineate a very initial snapshot of behavioral and neural pre-requisite for emotional-based actions. On the other hand, we have to stress that the main contribution we brought is setting-up a methodology to support future studies on emotions in natural and artificial agents.